Aruba is one of the world's most loved holiday destinations. It is therefore imperative you know where to dine during your stay. The country divides its dining into 3 major categories namely; budget dining, casual dining, and fine dining. You are therefore covered if you are travelling on lean budget or are not into formal dining or just want to impress a date with a fine meal. For fine dining, the top restaurants include; Carte Blanche Restaurant, Passions on the Beach and Flying Fish Bone. These restaurants will have a romantic table set up for you. If you are taking a date out or want to treat some corporate colleagues to a great meal, take them here. If you are into casual dining, you can never go wrong at Que Pasa?, Casa Tua Pizzeria and Pinchos Grill & Bar. If you want to save some money for other activities off your dining budget, the following budget hotels will do; Tulip Caribbean Brasserie, Pizza Bob's and Sawasdee Thai Restaurant. Thus said, you will have a great time in this country. Its tropical weather, upscale resorts and a friendly populace are just what you need for relaxation and unwinding. 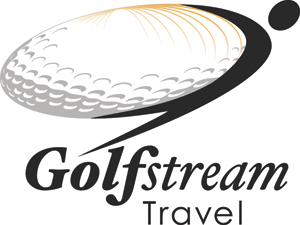 Golf Stream Travel will help you plan your trip to Aruba.